As I move towards closure on my Schoenthal family history, this post has been the hardest one to write. It is a tragic chapter in that history. As I’ve already written, four of the six children of my great-great-aunt Rosalie Schoenthal and her husband Willy Heymann left Germany before they could be killed by the Nazis. The three sons went to Chicago, and the oldest daughter Johanna went to Sao Paulo. They all survived. The other two daughters were not so lucky. The second oldest daughter, Helene, was born in Geldern in November 9, 1890, a year after Johanna. She married Julius Mosbach, who was the younger brother of Johanna’s first husband, Hermann Mosbach. After marrying, Julius and Helene were living in Iserlohn, a town about 80 miles east of Geldern. 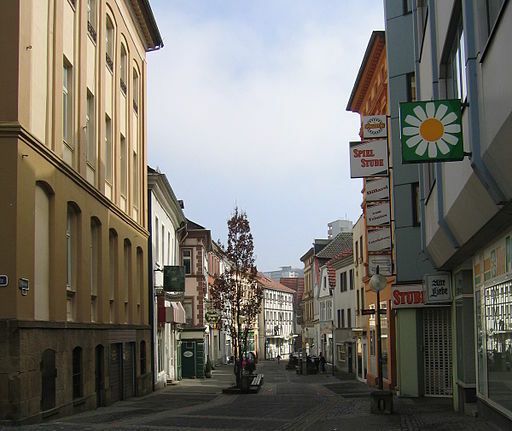 According to an article written in 2000 by the archivist of Iserlohn, Gotz Bettge, Julius and Helene Mosbach owned a fruit and vegetable business in the town square in Iserlohn. They had two daughters: Liesel, who was born March 8, 1921, and Gretel, born October 26, 1926. Ernst was born December 15, 1915, in Brambauer, the son of Leo Lion and Bertha Weinberg Lion. When Ernst was a very young child, his father Leo was badly injured while serving in the German army during World War I. Leo Lion considered himself a German patriot. Ernst grew up as the only Jewish child in Brambauer during the hard years of the Weimar Republic, but his childhood was overall quite happy. Then Hitler came to power, and his life was forever changed. The Nazis tried to impose a boycott on his father’s business by having a Gestapo member stand in the doorway and take photographs of those who patronized his store. Ernst’s father insisted that the man leave, even threatening to beat him up. He did not think the Nazis would be in power for very long. But then when the Nuremberg laws were enacted in 1935, the family had to sell their home and their store for less than their value and move to Dortmund. Many members of the extended Lion/Weinberg family left Germany around that time, but Ernst had difficulty getting the necessary visas and permits to go elsewhere even though he had an affidavit of support from a cousin in New York. Then on November 9, 1938, Ernst was one of thousands of German Jews who were arrested and sent to Buchenwald in the aftermath of Kristallnacht. In his autobiography he described in graphic detail his experiences there. It’s horrifying. Ernst was released a few weeks later and told to leave the country within three weeks. All the Jewish businesses were now closed, and he was forced to work on street repairs while waiting to emigrate. But then he met Liesel Mosbach in Iserlohn. He was introduced by his Aunt Selma who lived there, and they immediately took a liking for each other. At that time Liesel’s family was living in the apartment above their former business, which had been confiscated by the Nazis. Julius Mosbach had suffered a nervous breakdown as a result of the harassment by the Nazis and the loss of his business, and he was doing very poorly. Ernst moved to Iserlohn in 1939, where his aunt was able to help him get a job at a metal working company owned by a family that was unsympathetic to the Nazi government and its policies; the owners even provided Ernst with extra food to supplement the very restrictive allotments allowed to the Jews by the Nazis. When the Nazis then imposed travel restrictions and required Jews to wear the yellow Star of David, Ernst was no longer able to get to Dortmund to visit his parents. His mother died shortly thereafter, having given up on life, according to his father; Ernst was not even allowed to go to her funeral. On December 18, 1939, Ernst and Liesel were married. As Ernst wrote, although they had no idea what the future would bring, “The secret of maintaining one’s sanity under those conditions is to live as normal a life as one can.” (p. 18) Unfortunately, that became more and more difficult to do. 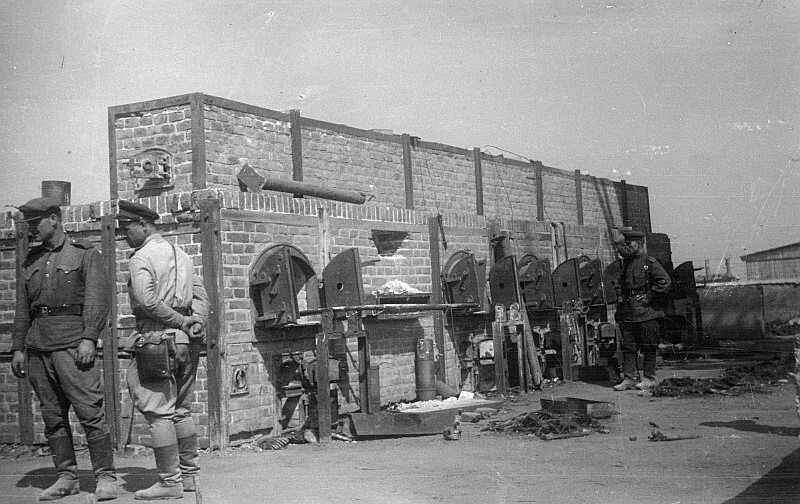 Conditions for the Jews continued to worsen, and there was less food available. People were beginning to hear about Jews being arrested and sent away. We soon discovered that we should have opposed the doctor’s decision [to hospitalize Julius], for the Nazis had decided that all institutionalized, so-called “insane” persons no longer had the right to live and had become a burden to society. They were led into sheds equipped with gasoline engines, which were installed in reverse fashion: the exhaust escaped to the inside of the building. After they were asphyxiated, the bodies were burned and the ashes delivered to the surviving families. No one realized that this activity was the rehearsal for later mass destruction of humans. On April 28, 1942, Helene Heymann Mosbach, my grandmother’s first cousin, and her daughter Gretel, just sixteen years old, were arrested and sent to Zamosc, near Lublin, Poland. They were never heard from again. Ernst’s father Leo Lion was also arrested around this time, and Ernst never heard from him again either. To add to this heartbreaking account, Helene’s sister Hilda, the youngest of the six children of Rosalie Schoenthal and Willy Heymann, was also killed by the Nazis. Although she is not mentioned in Ernst Lion’s autobiography or on the website memorializing the Mosbach family, according to Yad Vashem, Hilda also had been living in Iserlohn before being sent Zamosc where her sister Helene and niece Gretel had been deported. I assume that Hilda had moved to Iserlohn to live with her sister Helene after both her mother Rosalie (1937) and her father Willy (1939) had died. I had not heard of Zamosc before, and my friend Dorothee Lottmann-Kaeseler sent me this link that reveals the absolutely horrifying story of this place. There are no records of what happened specifically to Helene, Gretel, and Hilda, but it is possible that they were killed in Zamosc itself or deported to the death camp at Majdanek or Belzec or Sobibor, where they were killed. I found myself inside such a freight car among a hundred men, women and children. The doors were locked; there were no windows to look through. This precaution would keep us from recognizing our route or destination. A few buckets for relief, no food or water. This should be a short ride, I mused. … Liesel was shoved on this train with me. At least we were together. Just twenty-three, she was a thin, wiry lady, strong and energetic. Her dark eyes expressed the will to endure. I was twenty-four. Where was our future? Although they were told they were being taken to a safe place for resettlement, Ernst was skeptical, as he had good reason to be. They were being taken to Auschwitz-Birkenau. When they arrived, they were told to leave their suitcases on the train; then they stepped onto the platform surrounded by SS guards and prisoners in striped uniforms who were helping with the unloading. Then the men and women were separated. He never saw her again. Liesel Mosbach Lion, my father’s second cousin, was murdered at Auschwitz. I consider the entire family to be victims of the Holocaust: Rosalie, Willy, Helene, Julius, Liesel, Gretel, and Hilda as well as Leo and Bertha Lion. Ernst Lion, however, survived. The story of how he survived is remarkable. It’s a tale of incredible courage, strength, persistence, and luck. It’s also a horrifying, nightmarish account of how cruel human beings can be to one another. You should all read it. I cannot do it justice in a blog post. You must read it. Again, you can find it here. Please read it. I am so grateful that Ernst, Liesel’s husband, survived and recorded his story and their story for us all to read. We must never forget. 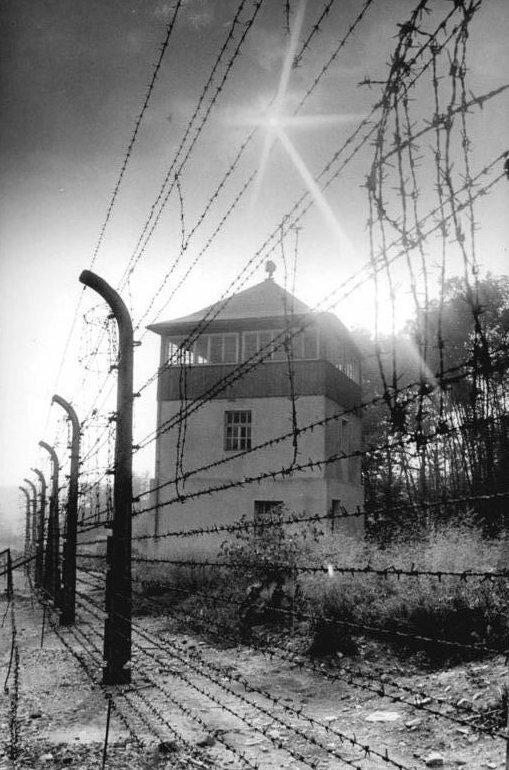 This entry was posted in Genealogy, Germany, Holocaust, Schoenthal and tagged Adolf Hitler, Auschwitz concentration camp, Buchenwald, Majdanek, Nazism, The Holocaust, Weimar Republic by Amy. Bookmark the permalink. Thank you for this poignant read – yes, we must never forget. Very, very heavy stuff and I just can’t wrap my head around all that happened to so many families. I will definitely read Ernest’s story – thank you for sharing the link. It’s well worth reading. Horrifying and very moving. Not something I am likely to forget. Oh! Such a sad part of your history. Where are those memorial markers? I have read so many first hand accounts of the Holocaust and every time I read one I am still shocked and outraged that it happened. I’m so sorry your family suffered. Such a senseless tragedy. Thanks, Amberly. 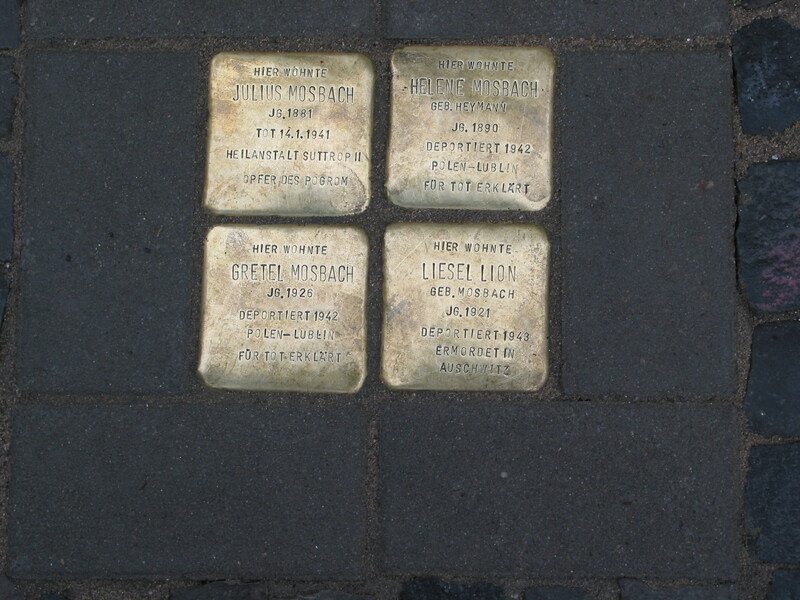 Those are called stolpersteines, and they’ve been placed in many places in Germany in front of the homes once lived in by those who were killed. It means stumbling block, and I think it is supposed to stop people walking by, forcing them to remember those who died. I have never seen them before. I’m so glad to know they exist! I hope they are not ignored. Once I can stop the tears, I’ll read that horrific account. Nice job, Amy. Thanks for posting this much needed reminder. NEVER. FORGET. It’s awful to read, but also important. And the whole autobiography is gripping and moving. He was a remarkable man. Thank you, Bruce. Always good to hear from you, cousin. Thank you for the reblog, Janet. And yes, we must never forget. I am so glad I took the time to read Ernst’s story. His father was a big influence to him and in the end he even sounded like him. I was a bit surprised to read the name Cohen in the biography. Thank you for sharing the link. Your writing about Liesel and her family and sharing Ernst’s story will help to Never Forget. I am so glad you read it, Cathy. His last sentence left me in tears. I wish I knew who owned the copyright on his book. It really should be published more than just on the web. The person he chose as the executor of his will has an unusual name and could be the person to know more. I will have to go back and look for the name. I read his book a few weeks ago and don’t recall seeing it. Is it at the end? Thank you! It was when he began working in America. “I was told that this Mr. Cohen had stated that he wanted to hire people who had been in concentration camps…” at about 3/4. Oh Amy what a tragic story. I can’t bring myself to read Ernst’s story yet. It feels very self-indulgent after all the horror endured by so many, but I will get there. We must never forget. Su. I understand, Su. And you should read only if and when you are ready to do so. He was a remarkable man, and he writes incredibly well (he started writing towards the end of his life when he moved to a retirement home and took a writing class). In some ways, despite the horrors he describes, it is life affirming. He survived. This was a very moving post-Amy – a time in history that is so horrific and when I hear people talk about it and some doubt if it even happened it turns my stomach. This is why genealogy is so important to us to tell the stories of our relatives. And to never forget what they endured for us whether it be wars or persecution that made it possible for us to freely write about their experiences and to pass down these stories through the generations. Well done! I am so very sorry that these are the stories you are finding to write about. Glad that you are writing and sharing them for people to read, but sorry that they happened to be written about, if that makes sense. How did Ernest’s story end up online? I was thinking that I am assuming that the different Holocaust museums have archives where they are storing all the memoirs and stories of survivors (and those who did not survive, such as Anna Frank). I hope that is true. But I think it would be good if they are loading them online so that the entire “archive” can be found this way by anybody who has internet access. I used to read a lot of Holocaust memoirs and even made it an academic specialty for awhile. After I wrote and delivered a long paper about Holocaust memoirs written expressly for children to read I had to stop. I couldn’t stay with the subject any longer. The book that influenced me the most, though, was not for children and was even a novel though based on fact. It’s called An Estate of Memory by survivor Ilona Karmel. Thanks for your thoughts, Luanna. I know exactly what you mean. I can only handle so much of this and then have to write about something different. I am actually as of this afternoon in touch with the people who helped Ernst write the book. One told me that the US Holocaust Museum does have a copy. I am working on seeing if there is a way to make the memoir more accessible. I found it almost by accident while searching for information about my Mosbach cousins. There was a link buried in a page about the Mosbach family. The page was in German, so I used Google Translate. There in the middle of the page was a link to Ernst’s book. I took a chance and clicked on it. It was in English! So I printed it out and read it. I will have to look for the book you mentioned….after a break. I really hope people can get all those memoirs online where they are accessible to all. And hard copies should be in libraries around the world, including Library of Congress (even when the writers had no American connection). Take a long break before you read Karmel’s book. I agree. I’m working on finding out first who owns the copyright in Ernst Lion’s book since he has died. Then I hope to find a way to ensure that it is disseminated more broadly. Very well written, Amy. You are helping people remember that they must never forget The Holocaust was an expression of pure evil and what is frightening is that human beings became incarnate agents of at this evil. I remember my first feelings of it when I read “The Diary of Ann Frank” and my Dad told me to put myself into Ann’s place. It was the fear of a knock on the door, and oh the waiting and not knowing that she went through left an impression that rises up when I read postings like this. It’s good to be jabbed like this. We have to work not to let something like this happen again. Thank you, EmilyAnn. I agree. Have you been to the Anne Frank house in Amsterdam? We were there three years ago. It was a haunting experience that I will never forget. Even though I’d read the book, seen the play, and seen the movie, being in the actual house was more upsetting than I had expected. No, my overseas travel was very limited but I can feel through your words the impact the experience had. It comes through in Ann’s words, too. No, you can’t forget it, ever. It’s good we’re having this discussion because it serves as a way to remind others. I think one reason why I have a hard time starting my readings on this subject is because it reminds us all that evil is very real. Anti-Semitism, like all forms of discrimination, must never be tolerated or thought a thing of the past. Yes, I agree. And of course, it’s not just anti-Semitism. It’s Islamaphobia, homophobia, racism, sexism—all forms of hatred based on a group or person’s religion, national background, race, sexual orientation, or other characteristics that have nothing to do with their character as human beings. Our world has not learned enough, maybe never will. Unfortunately this is very true. And today despite advanced education and a so-called media saavy and tech oriented world, our media and segments of our population are spinning propaganda that incites hatred and polarization. That even now people are falling for this emotional manipulation is a warning sign not to sit back. I will end this now and remember your relatives in my prayers tonight. Shalom is such a beautiful word and we must keep it in our heart and not let the world sully that sacred place inside of us. Thank you so much, EmilyAnn, and thank you for all your thoughts. So sad. My grandfather’s entire family died. And by the time I spoke to him, he no longer remembered the names of his siblings spouses or children. Over 80 members of his family perished. Each one a tragedy. I meant to say that you are lucky to have the names for a remembrance. We have lost even that. I have only been able to find his parents’ names at Yad VShem. Have you tried to search by the town where they lived? It’s heartbreaking to think of all those lost names. I contacted a researcher several years ago. And then I stopped. It was when my parents were ill and I could not deal with finding out to be honest. Perhaps it is time to start again. It is very hard for me to absorb all this loss, and these were more distant relatives than yours. I can understand your reluctance. When you’re ready, you will know. I’m so sorry. I often wonder how much each of those people would have added to our world. My name is Tom Lion, Ernest Lion’s son. Writing his memoirs was a truly exhausting experience for him and he asked me several times whether to continue this effort. Knowing what a disciplined and strong willed person he was, I told him to continue whenever he had the strength to write a paragraph or two. His story was too important to be lost and he spoke for the millions of unfortunate victims who could not tell their stories. Hi Tom, thanks so much for reading and commenting about your father. I agree that we need to keep his story from being lost, and I am so honored to be working with you in doing something about that. His work is so important and so moving. I am glad you encouraged him to do it.